Brussels sprouts and bok choy might sound like an unusual combination in one dish, but you’d be surprised at the delightful flavor and texture portfolio of this summer salad. With the addition of sweet cherry tomatoes, avocado and gut-boosting miso, you’ll feel so good afterward you might be inspired to pass on dessert. Brussels sprouts and bok choy are both in the cabbage family, which makes them ideal for improving bone health, lowering cancer risk and reducing cholesterol levels. 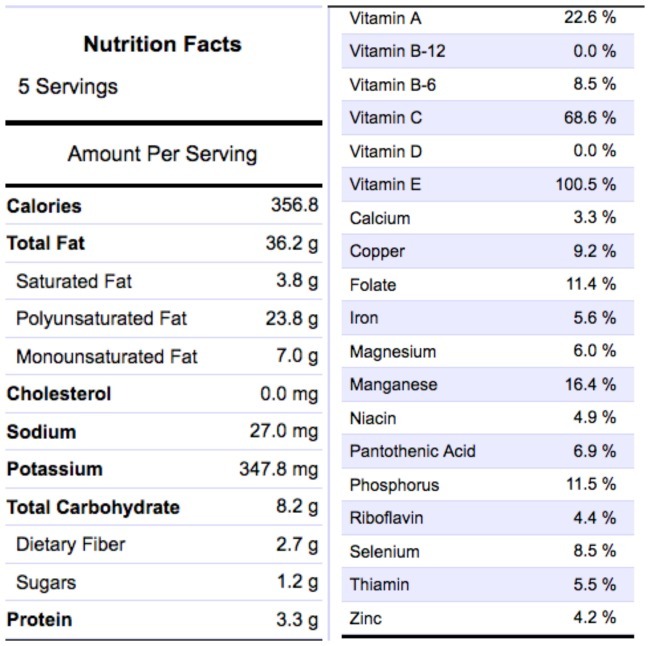 The full dish is a vital source of B complex, vitamins C, A and K, folate, calcium, magnesium c and fiber. Check out the Care2 recipe video below to see simple step-by-step instructions on this deliciously healthy meal. In a food processor, add raw sesame oil, lemon juice, cilantro and miso paste; blend until combined. Transfer to a mixing bowl and toss. 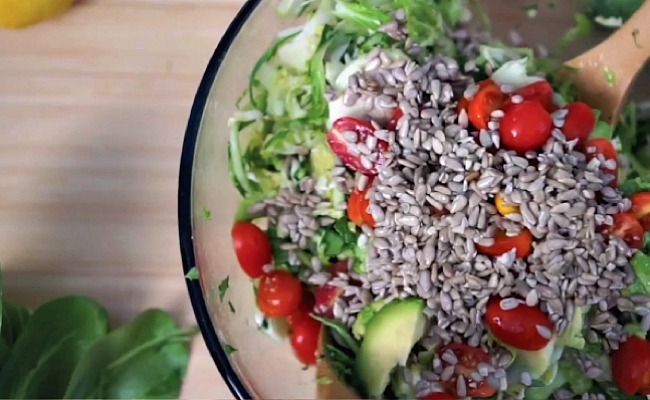 Add the avocado, cherry tomatoes and sunflower seeds and mix until combined.